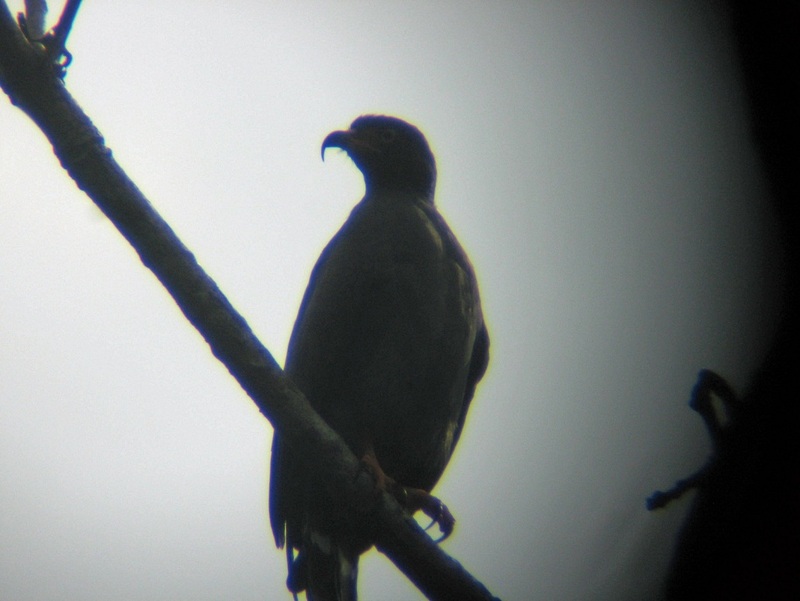 A rather short but successful birding extension trip into El Real and Rancho Frio, in the Darien National Park by Advantage Tour's Guido Berguido, revealed a couple of interesting sightings. On March 9, a strategic stop along the Pan-American highway, in the vicinity of the Tierra Nueva property, produced Yellow-breasted Flycatcher. 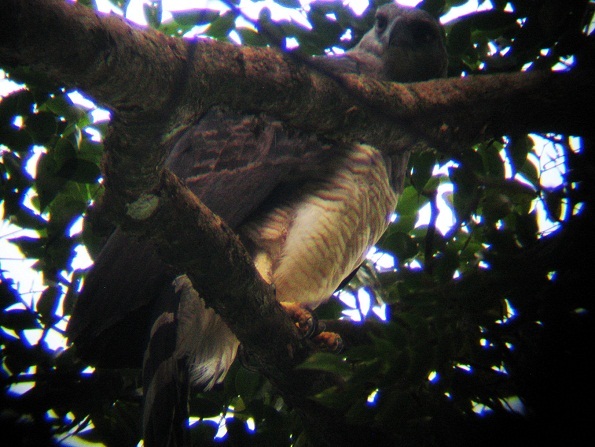 Also noteworthy was a pair of copulating Plumbeous kites way up in a Cuipo tree. 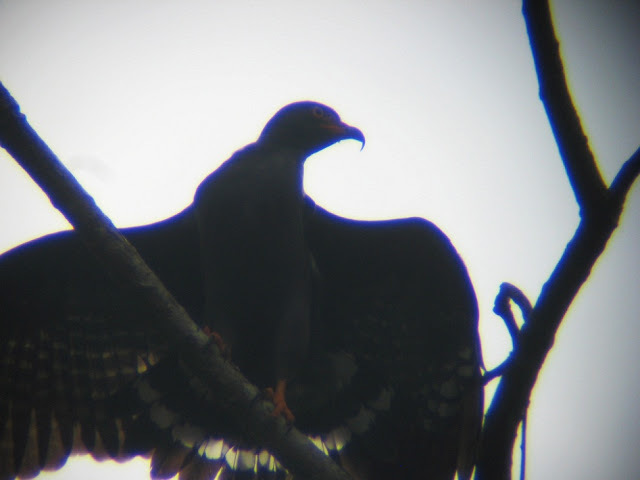 Along the Chucunaque river en route to El Real, Black Oropendolas were seen. Late afternoon birding at El Real showcased a small flock of Blue Grosbeaks, as well as a couple of thousand migrating Turkey Vultures with both Broad-winged and Swainson's Hawks. They settled down in the trees near the airstrip for the night. 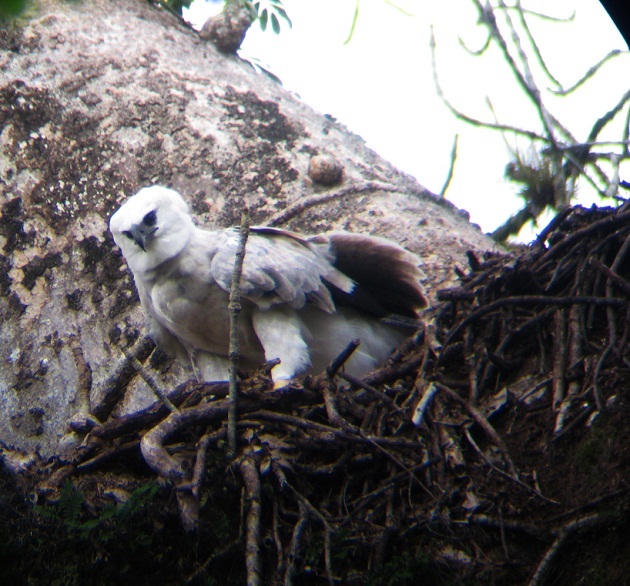 On March 10, near the Rancho Frio ranger station a Harpy Eagle nest contained a healthy-looking eaglet. Exploring the trails near the Rancho Frio Ranger station inside the Darien National Park, produced goodies such as Stripe-throated Wren, Lemon-spectacled Tanagers, both Plumbeous and Ruddy pigeons, a pair of Crimson-bellied Woodpeckers, as well as the main target for the trip an adult female Crested Eagle. Clearings near the ranger station proved productive and the following were recorded: Double-banded Graytails, both male and female Purple Honeycreepers, Yellow-backed Tanager, and Scarlet-browed Tanagers, and Great Green, Red-and-green and Chestnut-fronted Macaws. Also, both Western Syristes and White-ringed Flycatchers were plentiful. Departing the Rancho Frio ranger station, walking along the Peresenico River, a couple of hundred meters away from the ranger station, I heard something walking parallel to us along the trail about 6 meters away. At fist glance I just noticed a large gray furry creature, and thought we had a White-lipped Peccary like we've seen in Cana before. But when I looked trough my binoculars, I realized it was a mammal I had never seen before in the wild: Myrmecophaga tridactyla, the extremely rare "Oso Caballo" or Giant Anteater! Around the corner we were able to watch it again as it crossed the river in front of us. What a sight! 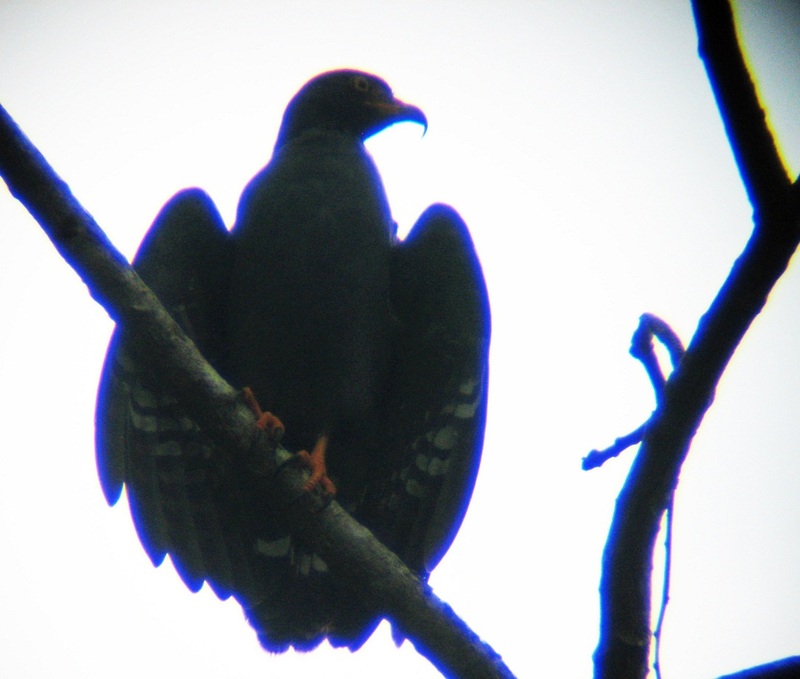 Later along the same trail, While searching for a vocalizing Plumbeous Hawk in the middle canopy above us, we stumbled upon a dark raptor. We originally thought to be our Plumbeous Hawk. Fist glances with Swarosvski 10x42 binoculars showed the "hook" on the bird´s bill. Upon more closely examination with a compact 60mm Kowa scope revealed the light-colored eyes, this in addition to the bulky appearence made me realize we were looking at a SLENDER-BILLED KITE. I immediately advised the birding group that we were looking at a LIFER for me! 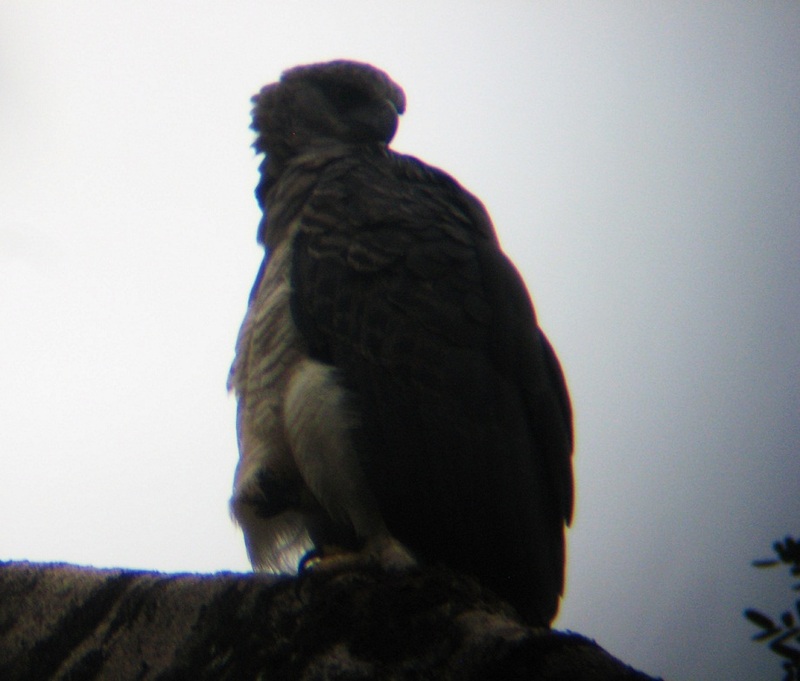 At the moment I didn't realize how special this sighting was, but still asked our local guide Isaac Pizarro to take some digiscoped photos using Julie Trott's small point-and-shoot Canon PowerShot camera. The photos are not that great but they are diagnostic. endemic Yellow-green Tyrannulet which was missed at Metropolitan Park earlier in the birding trip. Also recorded were Dusky-faced and Sulphur-rumped tanagers, Thrush-like Schiffornis, both Golden-headed and Red-capped manakins together, Rufous Mourner and Rufous Piha, as well as Rufous-breasted hermit, Sapphire-throated and Scaly-breasted Hummingbird, and Blue-throated Goldentail. Wow Guido! What a trip!